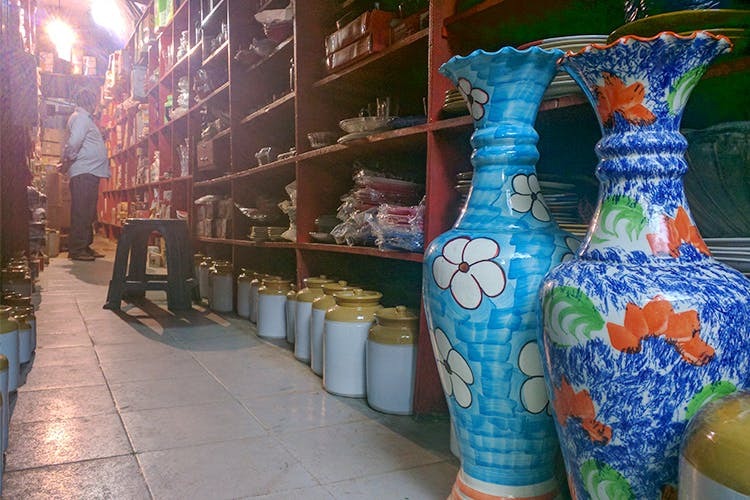 Imported Crockery Shop in Thippasandra is easy to miss, until and unless you are specifically looking for it. But what the shop will make you do in terms of walking up and down Thippasandra market, it will more than make up for it with cool and affordable crockery. Need abunch of mason jars for an impromptu party or want to replicate Social’s popular cocktail Acharoska served in a pickle jar with your own version at home? Then Imported Crockery Shop will take care of your drinking apparatus. Wait, there’s more. Cute tea sets, coffee mugs and jars find a place on the shelves here along with ceramic bowls in different colours, flower vases and microwave safe cooking bowls. The wares in this shop are subject to availability and might change from time to time. Price: INR 100-500 each depending on the size. You get really small ones also perfect for masala stocking or even serving drinks.